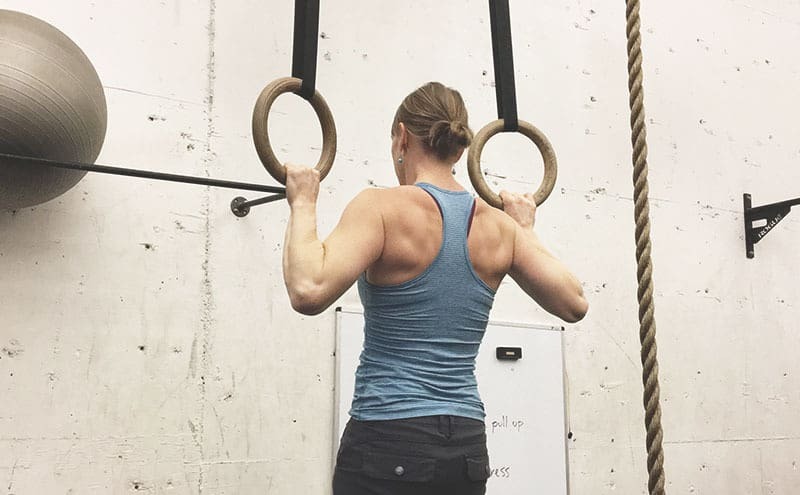 Exercises for a dislocated shoulder—what are you crazy? The last thing you feel like doing when you have a dislocated shoulder is moving it, let alone performing exercises. You want to just sit at home, feeling sorry for yourself and catching up with the latest going ons in Westworld. But the best exercises for dislocated shoulder problems will help to strengthen and rehabilitate your shoulder to prevent it from happening again. We’re not talking bench pressing your own bodyweight but some gentle rehabilitative exercises recommended by your doctor. As your motion and strength of the shoulder improves, you can gradually increase the strength training exercises too. If you have ever dislocated your shoulder, you will know just how painful it can be. It may have been because of a fall or accident or maybe a reoccuring sports injury. Let’s look at what happens when you injure your shoulder before recommending some of the best exercises for dislocated shoulder pain. Disclaimer: This article is meant for information purposes only and you should seek the advice of your doctor or physical therapist before embarking on any new rehabilitation program. The shoulder is your body’s most flexible and mobile joint–it’s what makes the arm extremely mobile and able to move in many directions. It’s also very susceptible to dislocation, normally after the trauma of a collision or a hard fall. A recent study reports that 24 people in every 100,000 a year suffer shoulder dislocations. Most people dislocate their shoulder because of contact sports, with rugby or football tackles being a common cause. Or maybe like me, you are quite clumsy and just suffer a fall and land on your shoulder. In older patients it’s often a case of falling onto outstretched hands when slipping on ice for example. It’s only natural you will put your hands out in front to try toprevent the fall. A shoulder dislocation occurs when the upper arm bone, your humerus bone, is partially or entirely removed from its cup-shaped socket. Both partial and complete shoulder dislocations will cause pain and an unsteadiness in your shoulder. Unless treated properly, your shoulder joint will become unstable and more prone to repeat dislocation. A shoulder dislocation is described by the direction and location of the humerus bone after the injury. An X-ray by your health specialist will normally put it into one of three categories. Anterior dislocation is by far the most common type of shoulder dislocation, accounting for 95 to 97 percent of all cases. When you suffer an anterior dislocation, the humeral head is pushed to the front of the joint. These types of dislocation are most often caused by sporting injuries or falls. As the name suggest, a posterior dislocation occurs when the humeral head is moved towards the back of the body. This dislocation is commonly a result of seizures, electric shocks or a fall. It is also much less common than an anterior dislocation, and only accounts for two to four percent of all shoulder dislocations. A very rare form of shoulder dislocation, inferior dislocation makes up only 0.5 percent of all cases. When an inferior dislocation takes place, the humerus bone is pushedbelow the shoulder joint. This can be caused by actions or forces that push the arm downwards normally caused by the arms in an abducted position when falling. Although all shoulder dislocations can be extremely painful, posterior dislocations tend to be less severe than anterior shoulder dislocations. Anterior dislocations may damage the axillary nerve which weakens the deltoid muscle and makes it hard to move your arm or shoulder. Posterior dislocations are not as severe, often going unnoticed in elderly patients with almost half of all posterior dislocations undiagnosed. Recognising the symptoms of a shoulder dislocation will aid in a speedy recovery. In most cases where the humerus has “popped” out of its socket, there will often be a visible deformity. Your shoulder will look more square rather than round, and you may spot a bulge or lump under the skin in front of your shoulder. When the bone pops out of the back of the shoulder joint, from an epileptic fit or electrocution injury, it can be much harder to spot. If you suspect you have dislocated your shoulder, and you willdefinitely feel it, seek the advice of your doctor or visit the local A&E department. After asking questions about the injury, an X-ray can often diagnose your shoulder dislocation or detect any other injuries. Almost 10 percent of all anterior dislocations also result in peripheral nerve damage to the axillary nerve. Fortunately most cases of shoulder dislocation don’t require surgery. A trained doctor or professional will often be able to rotate the arm and pop the joint back into its socket. Don’t try to do this yourself as you risk damaging nerves or tissues around your shoulder joint. Putting your arm back into the joint is called shoulder dislocation reduction and sometimes only takes several minutes. A general anesthetic may be administered to reduce the pain sometimes–I personally would insist on one, but I’m a wimp anyhow! If you have suffered from additional injuries like damaged ligaments or tissues or a fracture, surgical intervention may be needed. Repairing tissues or damaged ligaments in surgery will reduce the risk of repeat dislocations. Keyhole surgery under general anaesthetic or open surgery to move the bone are two other options your doctor may recommend. Once your humerus bone has been put back into its socket and positioned, several treatments are available. It is recommended that you immobilize the shoulder for the immediate period following dislocation, with use of a sling or shoulder brace advised. After the initial treatment and a period of immobilization, your doctor or physiotherapist will suggest some gentle exercises for dislocated shoulders, many of which we have looked at below. Typically you should keep the shoulder immobilized for up to three weeks, with your doctor able to advise when you can remove a sling or brace and start exercises. A program of strengthening exercises can be started as soon as the pain allows. In the early stages of a dislocation it is important to avoid movements which abduct or laterally rotate the shoulder as this may cause it to dislocate again. To start with static exercises involving no movement of the joint should be performed with intensity increase as your shoulder progresses. Isometric literally means without movement or can also be called static contractions. In such exercises you work the muscles without moving the joint which can be useful if the joint is still recovering. Isometric exercises use props like a wall, a pillow or a door frame to support your joints. This simple exercise begins by standing with your back against a wall and your arms down by your side. Keeping the elbows and wrist straight, push back into the wall and hold the position for five seconds. Gradually build this up to 10 seconds and repeat five times. Another exercise that doesn’t involve moving your shoulder joint, you place a rolled up newspaper or pillow between your injured arm and torso. Squeeze inwards and try to hold it in position, working up to larger items for a larger range of motion. Hold for five seconds to start, building up to 10 seconds and repeat five to 10 times. This exercise uses a wall again to support your body weight. Stand against the wall with your injured shoulder pressed gently against the wall and your arms straight at your side. Keeping your injured arm straight, push the arm outwards against the wall as if trying to raise your arm out sidewards and hold the position for five seconds before relaxing the arm. Repeat up to five times. These two exercises use the same position stood in a doorway with your injured arm bent at a 90-degree angle. For an external rotation, place the back of your hands against the door frame with your arms till bent at 90 degrees and push against the frame. Hold for five seconds before relaxing and repeat up to five times. For an internal rotation, turn your hands around and place the front against the door frame and repeat as before. The following YouTube video shows in more details isometric exercises for your shoulder when you don’t have the strength for a full movement exercise. Passive exercise can reintroduce mobility to the arm, with gentle stretching reducing the stiffness in your arm and shoulder. Once you have performed the isometric exercises and are able to move the muscles of the shoulder joint, you can move on to exercises that strengthen the joint. It’s perfectly natural to feel pain when performing some of these exercise, but if the pain is too intense, you should stop and rest. Be realistic about your recovery from a serious injury and ease up when feeling more intense discomfort or pain from a shoulder dislocation. Wearing a shoulder brace while exercising can help with the pain and offer extra support to your shoulder and arm muscles. A doctor or physical therapist will be able to advise you on exercises which are specific to your recovery and the need for a brace or sling. Like all good workouts you should start by stretching the muscles. A gentle stretch that works well for shoulder dislocations is a shoulder roll. Assume a standing upright position and place your hands on your hips. Gently roll your shoulders forward and backwards. As your mobility increase, you could try arm circles which will stretch and strengthen the rotator cuff of your shoulder. This can be useful in preventing the repetition of a shoulder dislocation. Simply raise your arms out to the side at shoulder level and slowlycircle them from the shoulders. You could also try lifting your affected arm in front of you and above your head. When still in the early stages of recovery, less strenuous exercises like the pendulum can help to restore your mobility. Using a desk or chair for balance, bend at the hips and lean forwards, placing your good hand on the chair. Keeping your spine straight, allow your injured arm to hang down and gently move backwards and forwards like a clock pendulum. Try to swing as far forwards and backwards as possible but stop if you feel pain. Repeat for 10 times. A pendular circle movement will get your arm moving, increase the mobility and improve your range of motion. Like the earlier pendulum exercise, begin by leaning over at your waist and put your good arm on the table or chair. Keeping the back straight and your shoulders loose, hang the affected arm down and gently swing it in a circular motion. Gradually increase the size of the circles before reversing the direction. Do 10 reps in each direction. As your shoulder begins to heal, and your range of motion improves you can start assisted exercises using your good arm to guide the affected arm through movements. To perform a broomstick exercise, you need to hold on to a broom handle with both hands shoulder-width apart. Using your good arm, push the broomstick outwards toward the side of your injured arm, like a pendulum movement. Reverse the movement using your affected arm to push the broomstick the other way towards the good arm. Complete as many pain-free reps as you can. As you recover from a dislocated shoulder, the last thing you want is a repetition of that pain. Strengthening your shoulder joints and rotator cuff muscles can help to prevent re-occurrences. Lateral raises, standing flexion forward exercises and internal or external rotation exercises can all work your rotator cuff muscles. As your shoulder strength increases a physical therapist may recommend using dumbbells or resistance bands to add to the intensity. Exercises like a shoulder press can be used with free weights as your strength progresses. This YouTube video shows some rotator cuff stretches that will help prevent shoulder injury or pain. Sometimes it is possible to make a full recovery from a shoulder dislocation in 12 to 16 weeks. Normally a doctor will recommend immobilizing the shoulder for up to three weeks. In this period there are many ways you can plan a workout routine that works around your shoulder joints. Once you introduce some rehab exercises and movement to the shoulder joint, you will be well on the road to recovery. Always pay close attention to your doctor or physical therapists advice, especially concerning exercise. Gentle exercise to build strength is an important part of preventing dislocation. Yoga can be a popular recovery therapy for its low impact strength and mobility benefits. A shoulder dislocation is a horrible injury, but a full recovery is possible. Overdoing shoulder dislocation exercises, particularly when starting will often put your recovery back and risk the repetition of dislocation. Although that would be a good chance to find out where all six of the parks in Westworld really are!